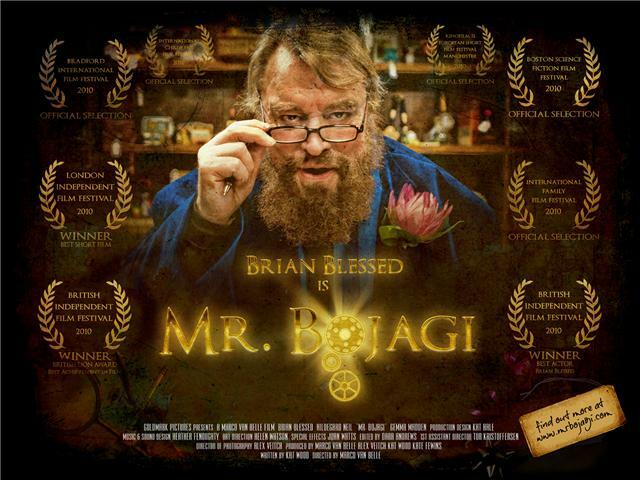 Directed by Marco van Belle, who kindly got in touch to let me know about it, this fantasy short stars legendary British actor Brian Blessed as Mr. Bojagi, a mysterious man with a mind-reading machine who helps people choose the perfect gifts. The film has already won the 2010 ‘British Lion Award’ for achievement in film and the jury award for ‘Best Short Film’ at the London Independent Film Festival. The film also stars Hildegard Neil. It will debut exclusively on Daily Motion for a limited run from 14th May. Chris Black possesses a power that could lead to the destruction of the current regime, and they will stop at nothing to destroy him. I mentioned this back in February and now the full film is out and embedded below for your viewing pleasure. Written and directed by Matthew Gordon Long it is well worth a watch. On a sun-dappled summer day a science expedition propels two children towards an enigmatic encounter at the edge of the their known world. Arriving on an isolated beach, they discover the wreck of a robotic squid submarine. The secret it holds within changes their lives forever. Bobby Drake keeps getting attacked by the town bully, but his luck is about to change for the better when he discovers his car is in fact the famous transformer Bumblebee. See how Bobby uses this new “hidden friend” to his advantage. A cool video by Alex de Campi, Alan Capriles, Lance Kaplan, Alan Piglowski and Nicolas Tourrel for UK act Gyratory System’s track Yowser, Yowser, Yowser. 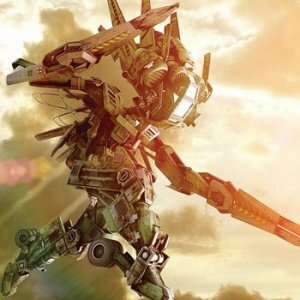 Twitch did it again when they found this. This looks amazing and even more so as they had no budget to make it. This clip explores the world of Project London and introduces the opposing forces, Joint Command and The London Underground. All 3D animated elements were created using Blender, open source software. Check out the Project London official site. Five short films. Five genres. Five of RSA’s hottest directors. One unifying piece of dialogue. Rinsch is the protoge of Ridley Scott and this is a lovely piece of sci-fi. The other four films can be found here. I was lucky enough to see Spike Jonze’s robot love story at a special screening a while ago – Check out Mrs Live For Films review of the night. Now you can catch it, well 5000 people a day can until it gets onto youtube! Well worth a watch over on www.imheremovie.com as it is a beautiful, moving and funny piece of film. 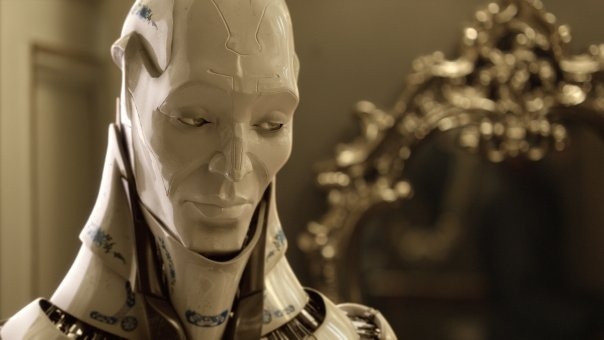 The 30 minute film, which forms part of the ABSOLUT campaign ‘In An ABSOLUT World, Ordinary Is No Place To Be’, is a robot love story set in LA and celebrates a life enriched by creativity. It proved to be a huge hit when it premiered at the Sundance Film Festival in January this year, and later screened at the influential Berlinale in February. 5,000 people a day will be offered the opportunity to watch the film through a striking online cinema experience. ‘I’m Here’ is a creative collaboration which acknowledges ABSOLUT as a pioneering and cultureshaping brand. The film stars British actor Andrew Garfield (Boy A, The Imaginarium of Doctor Parnassus) and Sienna Guillory, (Love Actually). The soundtrack includes original music by Sam Spiegel and original songs by L.A.- based art musician Aska Matsumiya and other emerging musicians. The film is streamed in high quality and, thanks to social media functionality, viewers can watch ‘I’m Here’ together with Facebook friends. The site also offers a teaser trailer, bonus material and additional information on the director and cast. The film tells the tale of a machine travelling in deep-space which has as a primary function the preservation of a living organism: a man. Strange events with biblical analogies begin, disturbing the machine and making it rethink it’s priorities. This is Ebbëto’s 2nd short film. It’s a 27 min. black and white sci-fi film made in 2009. This short extract features the music of OIL 10 “Passagen”, by the French electronic music composer, Gilles Rossire. How good does it look. Greg Pak is the current writer on The Incredible Hulk (he gave us Planet Hulk). This short film, although being called Mister Green, has nothing to do with the Hulk. Turns out Pak has a background in film and he has been chatting to CBR about this short film.